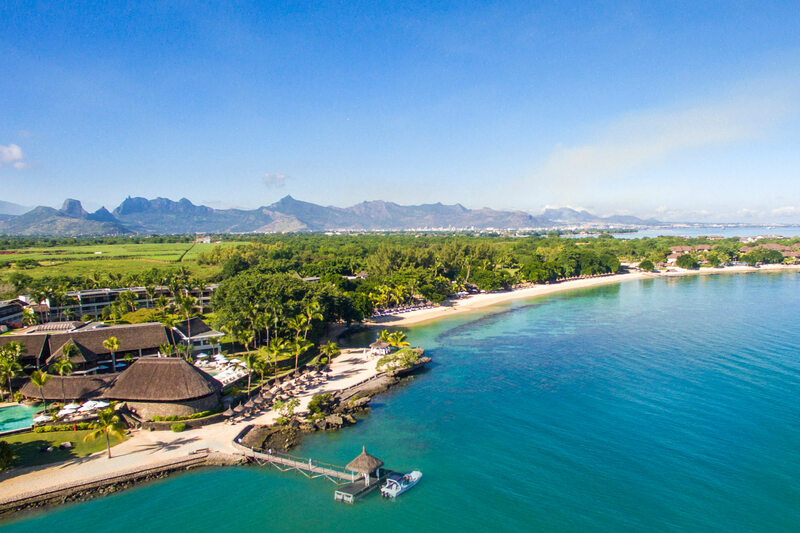 Picturesquely framed by tropical gardens and overlooking enchanting Turtle Bay on the northwest coast, just 15 minutes from Port Louis and Grand Bay, this extremely popular hotel is encircled by dazzling beaches and the turquoise Indian Ocean. A perfect blend of tropical and colonial architecture, the resort offers an unequalled multitude of sports and leisure facilities and elevated guest rooms ensure direct ocean views. A dedicated all inclusive property, be sure to book early to avoid disappointment and take advantage of the excellent discounts. In spacious privilege rooms (double bed only) with air-conditioning, bath and separate shower, DVD, mini bar, safe and balcony or terrace. 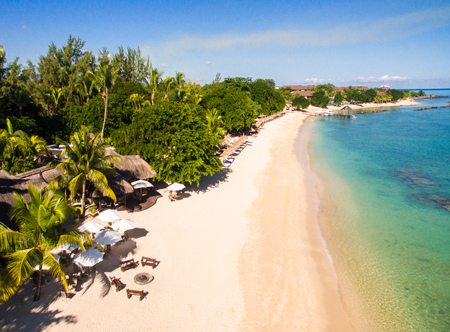 oversized prestige rooms with larger bathrooms and a la carte breakfast in La Maree Restaurant, accommodating two adults and one child, suites, two bedroom family villa with plunge pool and garden area. 45 minutes from Mauritius airport. Early booking room discount up to 30%: On selected dates Sep 18-Dec 19. Min stay may also apply. FREE unlimited green fees at Maritim golf club: Excludes club car, practice balls or golf equipment. Premium all inclusive from £52 (per person per day): Includes full a la carte dinner, more extensive wine/spirits list and one dinner at Chateau Mon Desir. Family offers for 0-11 years: Children receive FREE return airport transfers. 01-31 Aug 18 & 28 Apr-14 Sep 19 one child/teen stays free, room only, when sharing room with two adults, compulsory all inclusive payable from £13. Honeymoons: 01 Aug-19 Dec 18 & 05 Jan-21 Dec 19 if you stay at least 6 nights receive a romantic candlelit dinner. 01-31 Aug 18 also receive 15% room discount; 05 Jan-27 Apr & 15 Sep-21 Dec 19 also receive 35% room discount. Offers may not apply to suites or villas.